I took that chance of preppy--not a style I do often, though I adore it. I just generally inch towards vintage-girly more so than the straight lines of preppy. Braided gold flats with a tiny wooden heel certainly feel preppy to me. Very nautical. 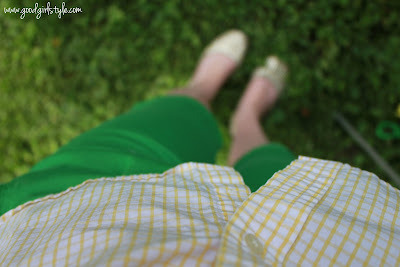 I picked up these bright green bermuda shorts, thinking I could use them as a summer version of colored skinny jeans. Do you think colored shorts translate as well? The shirt is yellow gingham, but it's hard to tell in the photos above. 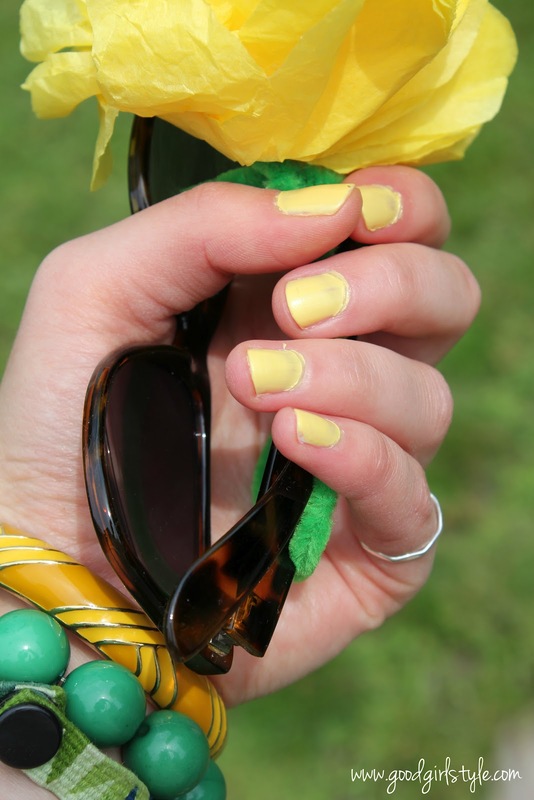 I got SO many compliments on this sunny yellow nail polish. 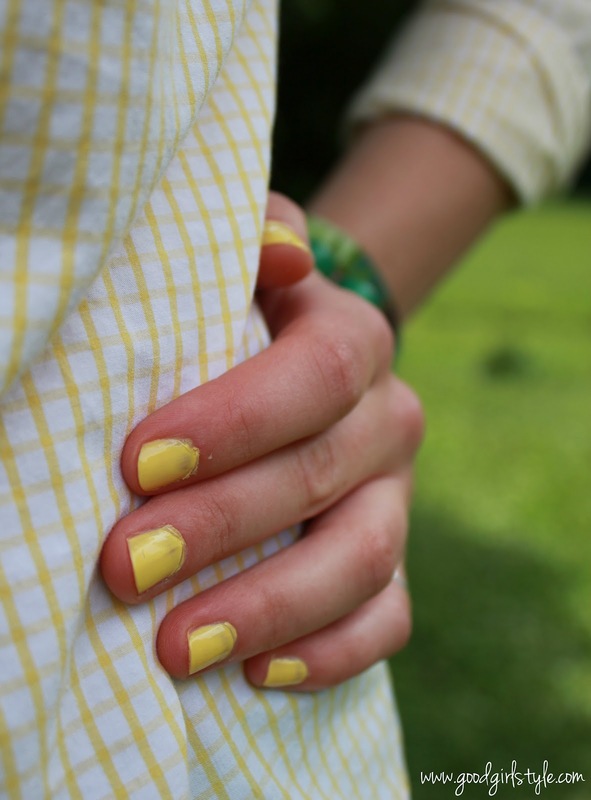 I've been wanting to try the yellow nail polish trend for a few summers now, but kept telling myself I had plenty of nail polish to use up first. But when a perfectly yellow bottle of Sally Hansen showed up in the clearance bin for $1, who was I to argue with my deep-seated inner yellow-nail-polish love? It lived up to my expectations and I just adore it for summer. It will definitely be a regular part of my summer nail polish rotation. Because aside from the fact that she's wearing way too many accessories, those amazing polka-dot pants paired with yellow & sea foam green alternating nail polish are crazy-inspiring. Have a great week, my dears! You're looking lovely this Monday morning!